We all know that cleanliness at home is very important. And we all know that you have better things to do with your own time instead of cleaning. Call (770) 285-7091 now and schedule our efficient house cleaning services for your home in Marietta, East Cobb or the surrounding areas. Work with our licensed maids on a weekly, bi-weekly and monthly basis or just for one deep spring cleaning appointment. Get all these routine domestic tasks taken off your hands. Have more free time to enjoy your home and more enjoyable home to spend your time in. Take advantage of our carefully vetted, fully trained and insured house cleaners. Book them for the hours you need, tell them what has to be cleaned, even ask them to use your preferred brands of cleaning detergents. Our house cleaning services are fully customizable and suitable for any type of residence. Add more home cleaning services to your order and ask for our special deals and discounts. 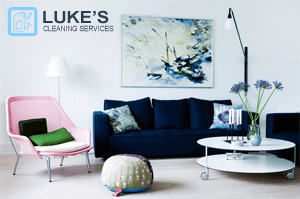 ©2013 - 2019 Luke's Cleaning Services. All Rights Reserved.